Profits generated by Africa’s Eden are reinvested in the area to ensure the continuity and economically sustainable protection of nature. We offer small groups of tourists the opportunity to experience pristine nature in unique, unexplored destinations. Diverse range of tours and excursions are arranged specifically for the passionate traveller looking for unspoiled, raw nature. The waters around Príncipe are clear and warm, filled with a high diversity of colourful fish and invertebrates around basaltic rock outcrops, boulder reefs and hard coral beds. There are also opportunities during certain times of year to see the humpback whales, turtles nesting and hatchlings emerging and rushing to the sea. To experience Príncipes marine life, one can snorkel and kayak from the shore of Praia Banana on your own or as guided tour. 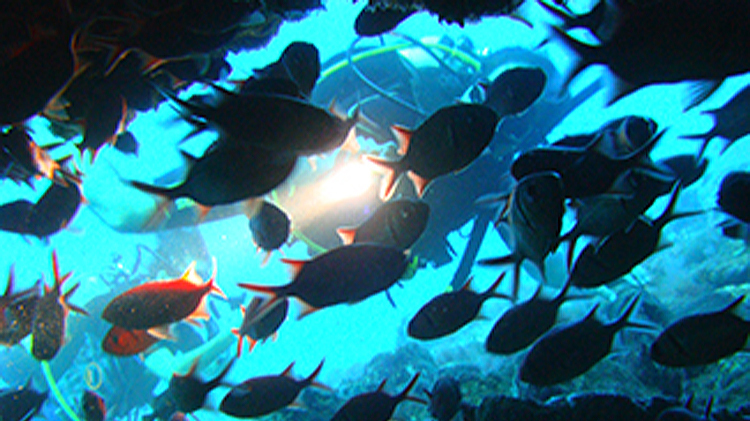 Scuba diving and snorkelling are also available in more distant and exciting locations by boat. A large amount of the island is covered by primary forest, particularly in the south, which has a dramatic mountainous landscape formed from the solidified magma chambers of the extinct volcanoes. 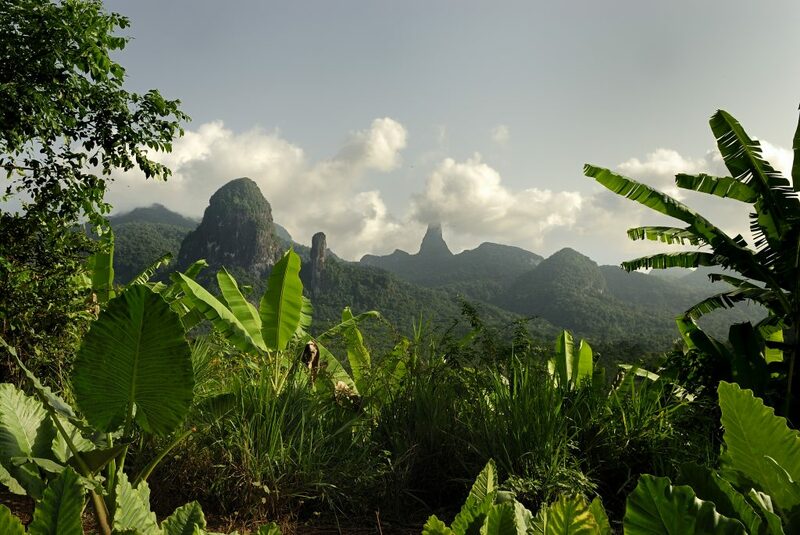 The forest, protected by Príncipe biosphere reserve, has a rich diversity of plants, insects, reptiles and birds many of which are found nowhere else in the world. The island offers visitors several interesting walks, varying in difficulty, distance and duration, which you can access by quadbike, or 4×4 vehicle provided by the hotel. Nearer to Belo Monte, there are several shorter walks through the forest with spectacular views of the ocean below. The other special aspect of the island is the people, culture and Roças (plantations). Cocoa, coffee and coconuts were grown and cultivated on the island, and many old plantations are still present, in various states of disrepair, displaying colonial Portuguese architecture. Trips into the smallest capital in the world Santo Antonio are available, to walk around, get lunch and experience island life as it is for the locals. In August the cultural festival of São Lorenço begins, demonstrating the bright colours of the costumes and masks unique to this occasion along with tradition music and dances. 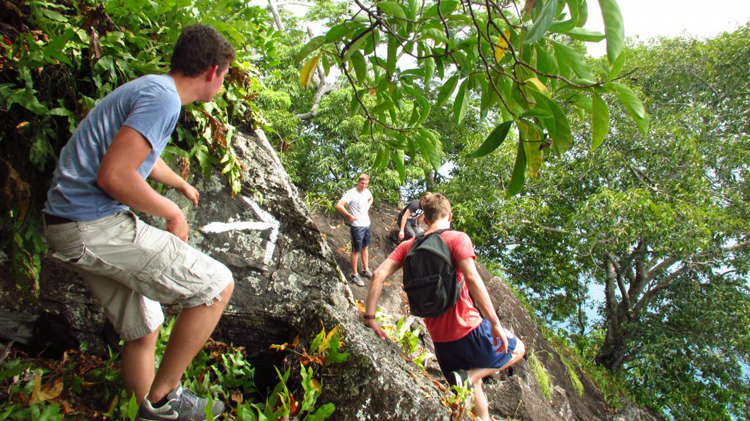 The cultural excursions can also be combined with some of the nature hikes.